When Zuma isn't diving into the water to rescue the animals who get stuck in the drink, what do you imagine the 7th member of the Paw Patrol is up to? Well, like any labrador, he's probably taking a nice nap and dreaming of the water! Ultimately, he's got to be as comfy as he possibly can so he can manage to beat Skye in whatever the next competition is going to be. He's also got to have the energy necessary to help Ryder out for all those other Paw Patrol missions. Your kiddo can feel just as comfortably prepared as Zuma when they are wearing this Zuma Costume Hoodie. 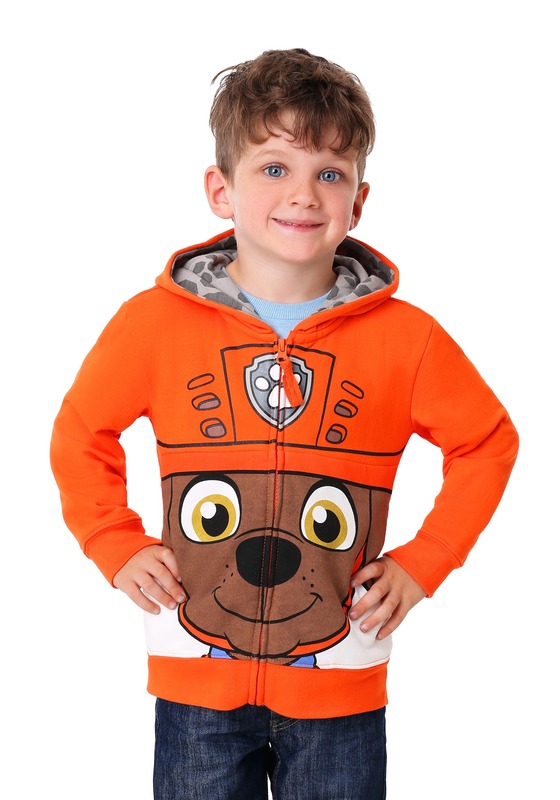 An officially licensed Paw Patrol outfit, this orange hoodie features Zuma's face and emulates the orange jacket that he wears for his various aquatic missions. They can pull up the hoodie like they're going for a scuba run or just enjoy the paw decorations along the collar! Your kiddo can feel just like Ryder, the leader of the Paw Patrol, when they dress up with this Zuma Hoodie. Ryder would never say Zuma is his favorite of the pups, but who can deny love for this adorable chocolate lab!? Just as pictured. Nice hood with no strings to choke on and size seemed small. Order one size up than what you need.